Matt Anderson has taught at Newton North for his entire career, since 2001. He has taught Freshman Physics and upper class Physics at the College Prep and Honors levels. 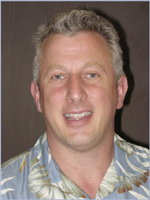 He received his BS in Physics from Penn State, and his MA in Physics Education from University of Virginia. Rachel Becker has taught English at the Francis Parker Charter Essential School in Devens, MA, and at Newton South High School. She holds a B.A. 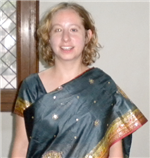 in English from Vassar College, and M.Phil in English from the University of Oxford, and completed her teacher training as a member of the New Teachers Collaborative. 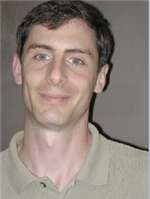 Al Calderone has enjoyed the opportunity to learn science with his students in Berkeley, CA, Boston, MA, and right here at Newton North. He completed undergraduate work in science at the University of Wisconsin, and graduate programs in education at U.C. Berkeley and San Francisco State University. He looks forward to learning lots more. Jodie has a bachelor of science in Biology from University of Massachusetts and a master of arts in teaching from Simmons College. Simmons College placed her at Newton North High School for her student teaching in 1998 and she has been here ever since. Prior to working in the field of education she worked in the financial industry as a stock broker and in mutual fund marketing. After a few short years in finance she decided to return to school to pursue a career in the sciences. Jodie fell upon teaching while attaining her biology degree when one of her professors asked her to become her teaching assistant. She fell in love with teaching and has not looked back. Ann (Anndy) Dannenberg has been teaching in the Science Department at Newton North for 17 years. 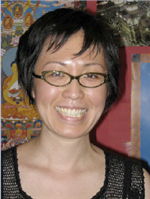 She earned a BA from Swarthmore College, and her MS in Science Education from Montana State University. Prior to her career in the classroom, Anndy spent 8 years doing research in genetics and molecular biology at UConn and MIT, and worked for 20 years as an informal science educator at the CT Science Museum, the MCZ at Harvard, the Boston Museum of Science, the New England Aquarium, and the Arnold Arboretum. Judy Dolan has been teaching mathematics at Newton South High School since 1993. Prior to teaching mathematics she was a dress buyer for a department store. She holds a BS from Boston College in Marketing, an MBA in Finance from Bentley College and an MEd in Secondary Education/Mathematics from Boston College. Leah Doyle is currently in her sixth year as a member of the History and Social Sciences Department at Newton North High School. She earned her B.A. in History and Secondary Education at Emmanuel College and later earned an M.A. in History from Simmons College. She has taught in both urban and rural public schools, including Apponequet Regional High School in Lakeville, Massachusetts. Greg Drake is in his sixth year as a World History teacher at Newton North High School, where he is also the Model UN advisor. He has a BA in History from Georgetown University and masters degrees from Boston University (Teaching) and the University of North Carolina (Political Science). Greg's passion for global education stems from his own experiences abroad. He has taught and studied in Germany and worked for a humanitarian organization in the former Yugoslavia. Thomas D. Fabian teaches English at Newton North High School. He is the former chair of the English department there, as well as at Westborough High School. In addition to high school, he has also taught at both the university and middle school levels, including several years teaching at the Seoul International School in Seoul, Korea. Fabian is a graduate of Boston University with degrees in English and journalism, and has earned master’s degrees in secondary education and fine arts. He has advised interscholastic debate and student publications throughout his career. In his spare time he likes to read, run, travel, and enjoy the company of his wife and three children. Joe Golding started teaching in Chicago, and has since taught English literature in Berlin, Germany, and at Newton South High School. He received a BA in English Literature from Carleton College and and MS in Education and Social Policy from Northwestern University. In 2013, he was awarded Newton South High School's Brenda Keegan Outstanding Teaching Award. 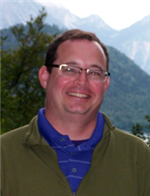 Michael Hazeltine has been teaching science at Newton North since 1995. He as a BS in physics from Stevens Institute, a Master of Science (Electrical Engineering) from Northeastern and a Masters of Education from UMass Amherst. He teaches both freshman and seniors in addition to being the Physical Science teacher at Springboard one of Newtons alternative education programs. Prior to teaching in Newton he was an Electro-optics engineer and program manager at Raytheon for 14 years in additional to being an adjunct lecturer at Northeastern and Boston University teaching graduate level course in Electro-Optics. He enjoys the outdoors and is a certified sea kayaking instructor. Jeremiah Hill has taught high school English in Philadelphia, PA, and at Newton South High School. He has a BA in Philosophy from the University of Wisconsin and an MS.Ed. from the University of Pennsylvania. 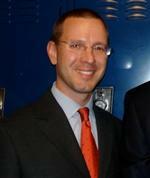 Michael Kozuch is a graduate of Northeastern University, BS ’93 and Harvard University, M. Ed. ’98. He has worked for the Massachusetts Department of Education on anti-bullying efforts and is currently the Director of the Global Communities Program at Newton South High School. The Global Communities Program is an interdisciplinary, differentiated, multi-year, smaller learning community focused on global issues. Much of the program is drawn from his experience working as a research participant at Harvard's Project Zero, where he collaborated with other teachers and researchers to develop models for interdisciplinary instruction. He is also the Director of the Newton-Beijing Jingshan Exchange Program and the Teaching American History Grant for Brookline, Cambridge, Newton, Sudbury, Waltham and Watertown, MA school districts. His other work includes curriculum development for classes such as U.S. History, Sustaining Global Communities and Race, Class and Gender. He has been a guest lecturer at Boston College, Primary Source, the International Baccalaureate and The Education Cooperative. He is a world traveler, participating in a four-month exchange in China, as well as shorter education programs in South Korea, Indonesia, Mexico, Costa Rica, Panama and the Czech Republic. He is passionate about the environment and human rights. Robyn Marder earned a B.A. in English and Textual Studies from Syracuse University and an M.A. in English and Graduate Certificate in Women’s Studies from the University of Virginia. She completed her teaching certification at Bridgewater State College, where she also taught a developmental writing course to freshmen. She has been teaching high school English at Newton South High School for her entire thirteen-year career, and has had the privilege to teach every grade and every grade-level at South. 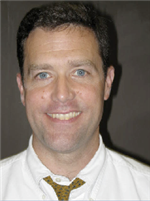 Paul Martenis has taught at Newton North since 1999, and taught previously at Belmont and North Quincy high schools. He received his BS in astronomy and physics from Haverford College in 1985. After working for seven years in the High Energy Division of the Harvard-Smithsonian Center for Astrophysics, he completed his M.Ed. at Harvard in 1993. He finds it awkward to write about himself in the third person. Marianne McChesney has taught Chemistry and Physical Science at Newton South High School. She has a BA in chemistry from Duke University and a Masters of Arts in Teaching from the University of North Carolina at Chapel Hill. In 2013 she was awarded Newton South High School's Ann Elliott-Holmes Excellence in Teaching Award. 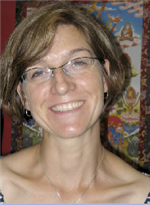 Jennifer Morrill graduated with a BA in French and American History and Literature from Harvard College, and spent a year working in a women's halfway house and another year teaching English at Phillips Academy. She then earned her Masters of Arts in Teaching History from Boston University. She has taught at Framingham High School and at Newton North High School, and is now Chair of the History department at Newton South High School. She has a particular interest in European and World History, and has also taught US History and Ethics. I have been a high school math teacher for 17 years. I graduated from the University of Wisconsin and worked as a Civil Engineer for 5 years before I began teaching. I have lived in California, Illinois, Minnesota, Alaska and Germany. I currently live with my wife and two kids in Brookline. I love teaching because I believe that learning enriches one’s soul. I am proud to work in a profession that has a direct and positive impact on the future. When I am not teaching, I am coaching my son’s hockey team, playing basketball, out running or at home cooking. Karen Tokos earned a B.A. in Biology from the University of Chicago and a M.A. in Education from Stanford University. 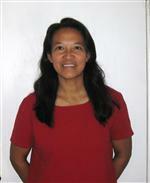 She taught in Palo Alto, CA and Fairfax County, VA before arriving in Newton in 2001. Karen teaches chemistry and biology. 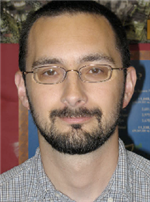 Peter Turner has taught at Newton North since 2011, where he has taught all levels of U.S. and World history. Prior to that, he taught for several years in the New York City Public Schools. He earned a B.S. in Foreign Service from Georgetown University, and a Masters in Teaching Social Studies from Columbia University. Duncan Wood has taught history in the Somerville Public School system and at Newton North High School. He has a BA in Political Science from Saint Andrews College in Laurinburg North Carolina, and a Masters in Education from the University of Massachusetts Boston. Mr. Wood was a Swensrud and Adams Fellow at the Massachusetts Historical Society in 2003 and 2006. He is married and has two children.